This drive through the south-eastern sweetveld is usually one of the best game-viewing routes in Kruger. From Lower Sabie Camp the road crosses the Sabie River where kingfishers and other waterbirds can be seen at close quarters. It then enters the wide expanse of open grassland, which is excellent for raptors and some of the largest herds of grazing mammals. Mlondozi Dam and the wetlands at the base of Muntshe Hill are some of Kruger's best birding spots, particularly in summer when flocks of Lesser Kestrels and Amur Falcons* swirl overhead and big grassland birds like the Secretarybird and the Black-bellied Bustard* stalk the veld. The descending, bottle-blowing call of Burchell's Coucal is a common summer sound. The road climbs into the Lebombo where Nkumbe Lookout Point is a compulsory stop for its breathtaking view over the eastern savanna plains. These mountainous areas are good for the Mocking Cliff-Chat*, Black-backed Puffback*, Shelley's Francolin and the Yellow-throated Longclaw, as well as quails and buttonquails. 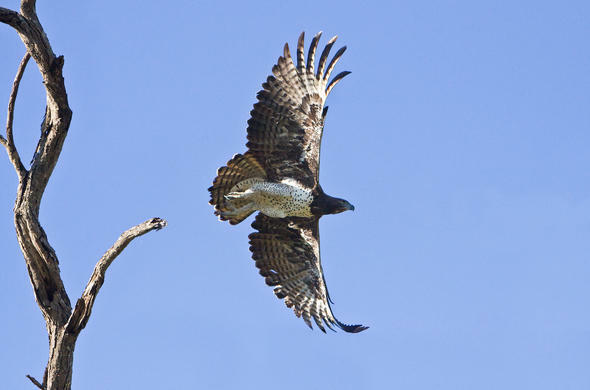 Raptors include the giant Martial Eagle. The road drops into the N'waswitsontso catchment area where Orpen Dam is a recommended stop before one halts at Tshokwane for refreshments. 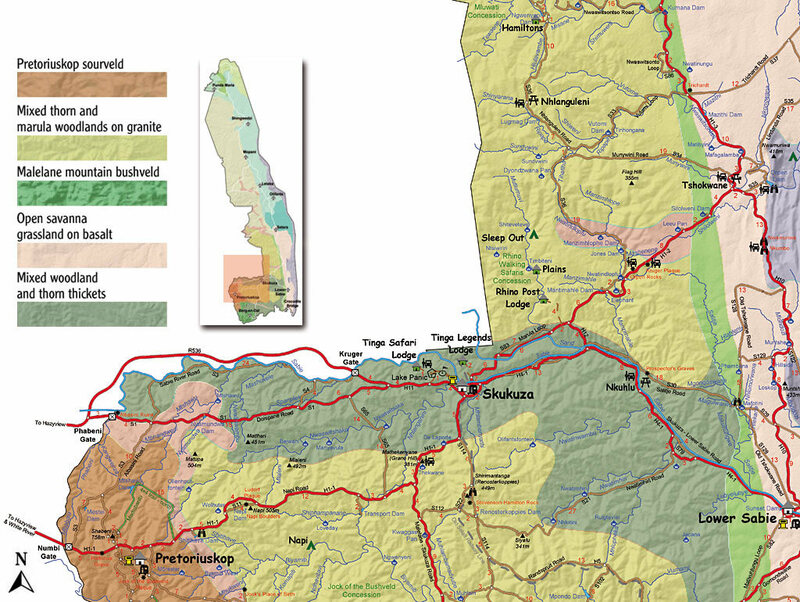 and Tshokwane to Lower Sabie).